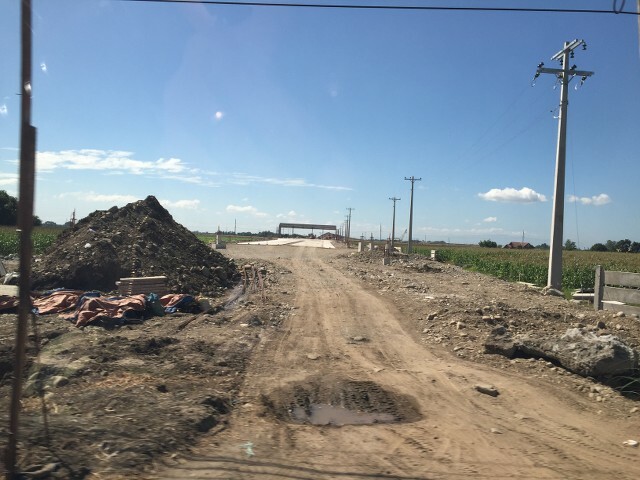 ROSARIO, La Union, February 22 (PIA) – La Union residents are upbeat with the near completion of the Tarlac-Pangasinan-La Union Expressway (TPLEx). TPLEx, according to the Department of Public Works and Highways website, is an 88.85-kilometer tollway from Tarlac City to Rosario, La Union, worth P21.379 billion. It is funded by the Private Infra Development Corp. (PIDC), an all-Filipino consortium led by Rapid Thoroughfares Inc. owned by the San Miguel Corp. The expressway is connected to Subic-Clark-Tarlac Expressway (SCTEx) and the North Luzon Expressway (NLEx). Engineer Arturo Barrameda, project manager from the TCJI Consulting Company and Project Management, said the Urdaneta-Pozzurubio (in Pangasinan) segment has been completed and is set for soft opening before the Holy Week. The joint venture of TCJI Company and North Luzon Road Link is an independent consultant of the DPWH and PIDC. La Union officials recognize the need to prepare the province to more tourism traffic with the completion of TPLEx from Pozzorubio to Rosario. “With the ease of travel that the TPLEx will bring, La Union must become a hub. We must do something about our tourism and trade industries, that people will not only see La Union as a passing road going towards Vigan City or Pagudpud,” Vice-Governor Aureo Augusto Nisce said. Nisce noted the local government plays an important role in working for a more aggressive marketing campaign and promoting business friendliness in the tourism sector. Aware of the volume of motorists that will pass through their town, Revelina Lino, treasurer of the Rosario Dairy Producers Association, foresees good business for carabao milk processors. “At present, our lone outlet located at the Damortis in Sto. Tomas intersection, only caters to motorists and consumers passing by. Eventually with the exit at Saytan in Rosario, we will wait for the proposed one-stop-shop of Department of Trade and Industry where all La Union products will be marketed under a roof,” she said. Meanwhile, Barrameda said contractors are awaiting DPWH’s notice to begin working on the 12-kilometer Pozzurubio to Rosario segment. The original Rosario exit was identified at the mouth of Rosario-Pugo part of Marcos Highway and Kennon Road, in barangay Nangcamotian in Rosario. “There will be no problem if the original alignment for Pozzurubio to Rosario will push through but if not, we anticipate further delays because of the immense requirements like settlement of road right of ways, geological studies, soil sampling, securing of environmental certificate of compliance, redesigning, and more,” Engr. Bernardo Buenaventura, project director under TCIJ Consulting Company said. Hopefully naman, matamnan ng ACACIA or FRUIT bearing trees ang kahabaan ng 80.0 km strech ng TPLEX – SCTEX from Concepcion tarlac to POZZURUBIO PANGASINAN…Every months, we always passed TPLEX goint to BAGUIO and VIGAN at kinakabahan kami na mukhang IRAQ at ARAB landscape ang nakikita ng mga tao sa TPLEX.. FLOOD CONTROL, lilim at beauty ng environments naman sana..